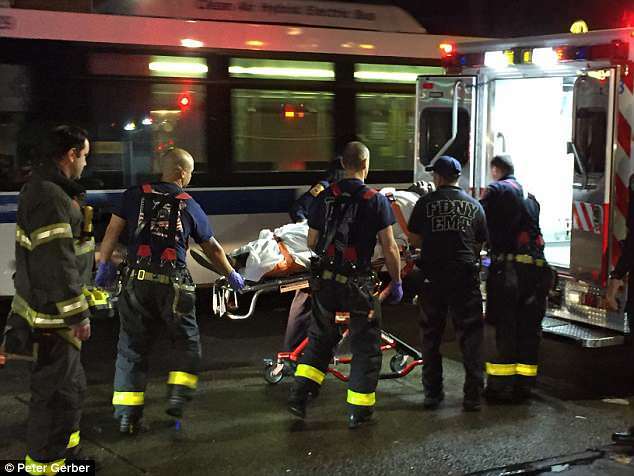 In quite horrific scenes, like a bad rendition of Michael Jackson’s ‘Thriller’, there was nothing thrilling about what happened in Brooklyn’s Bedford-Stuyvesant neighbourhood, the same street where 33 people overdosed two years ago, so seemingly in commemoration of that day, a further 25 people were hospitalised after using K2 (Synthetic Marijuana) this weekend. ‘The Night of the Living Dead’ commenced around 7:30pm when somebody called police to the area, after many K2 addicts were seen hunched over, or walking with a knee jerk, to blatantly even resembling the undead, after a dealer had sold a very potent concoction of the life threatening drug, known on the streets as “Spice”. 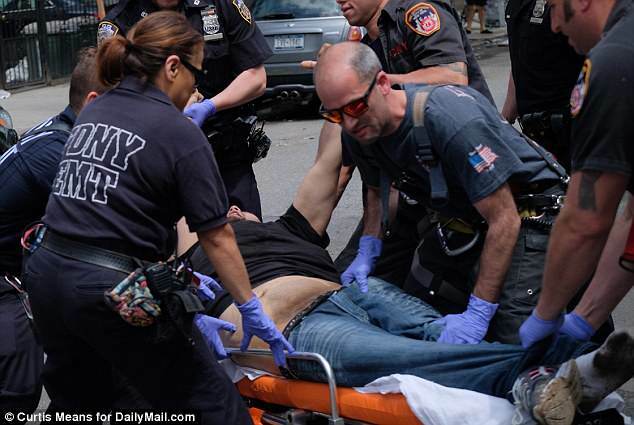 One man was arrested after 25 people were struck down with zombie like symptoms, no doubt, ruining anyone’s plan to enjoy their Saturday, after seeing addicts slumped against buildings, laying down on sidewalks and vomiting. On Saturday night NBC News 4 reported the amount of people overdosing on Spice was only 16 people, but that figure rose up on Sunday by a further 9 people, as this Zombie party was seemingly just getting started. Unresponsive people in a zombie like coma were found everywhere, before being taken to Interfaith Medical Center, Wyckoff Heights Medical Center and Woodhull Medical Center. Defying the laws of gravity, these zombies made a lasting impression. Meanwhile, the police arrested Tyquan Holley, 41, for possession of a controlled substance, believed to be K2, on Myrtle Avenue near Broadway, as well as swooping in on two convenience stores rumoured to be selling the fake drug as well. According to DNA.info.com, the police zeroed in on Big Boy’s Deli for being the sole distributor of K2 in the area, and their findings remain part of an internal investigation. Some 6,000 people have been sent to emergency rooms in New York since 2015 after using K2 (Spice), with only two confirmed deaths so far. New York Mayor Bill De Blasio, a seeming advocate for spiralling crime, sanctuary cities, MS-13 and also being very much against ICE, did however, make it illegal to sell or produce K2 in October of 2017, deciding the punishment with a measly sentence of a year in jail, and making it a crime that’s punishable with a $100,000 fine, if anyone is caught selling the zombie creating substance. Somehow De Blasio’s weak stance on K2 hasn’t deterred vendors and users of K2, hence the reason for 25 zombies jolting around Brooklyn’s Bedford-Stuyvesant neighbourhood this weekend, even though, he claims there has been a decline in Spice hospital visits in recent times. Well, clearly that’s no longer the case, as hospitals were overwhelmed by people frothing at the mouth, and to those that couldn’t stand up right right on their hind limbs, like a true human does. Councilman Robert Cornegy Jr and Councilwoman Laurie Cumbo of Beford-Stuyvesant held a press conference on Sunday, demanding a police presence outside Big Boy Deli, to prevent the sale of K2 to locals in the area. Somehow we don’t believe that will work, do you? We feel that they are fighting a losing battle of epidemic proportions, with plenty of synthetic zombie drugs readily available at bodegas and in other places for only $5 dollars… Unless of course, they do a marketing push of awareness about how these drugs actually turn users into actual zombies. Apart from that, we fear that these hapless users will only continue to rise in number, with Bill De Blasio now not only facing illegal immigration problems, resulting in a rapid rise in crime, but also zombies, resulting in many streets looking like ‘The Walking Dead’… Resulting in a New York City zombie epidemic all under De Blasio’s watch!